Those of you who use water cooling system for a long time have a clear understanding than flow speed effects performance of not only each WC components in particular but the whole system in general. Furthermore, in case of pump malfunctioning it can lead to PC hardware failure. Flow meter installation does provide all information concerning flow characteristics, thus, allowing to set automatic PC shut-down if pumps stops operating. 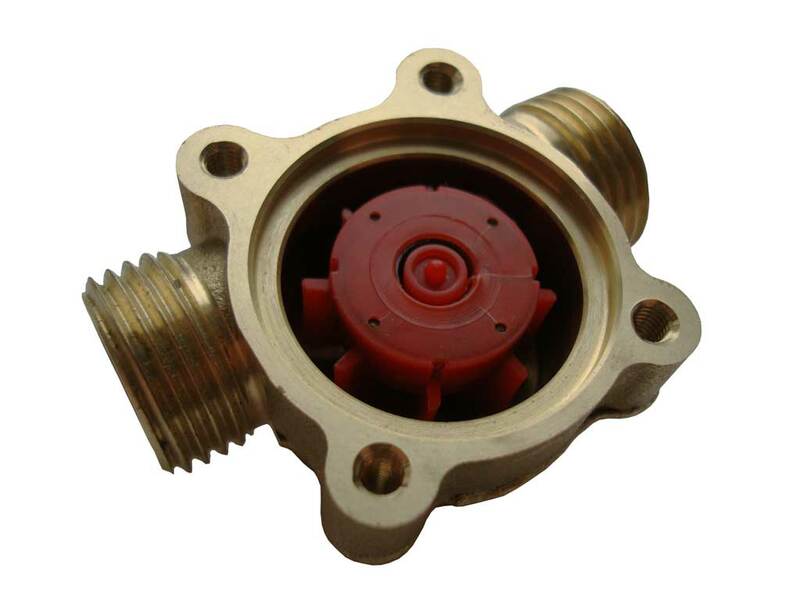 Flow meters that are commonly used in WCS are type of turbine meter of liquid flow. These meters have rather primitive operating principles. 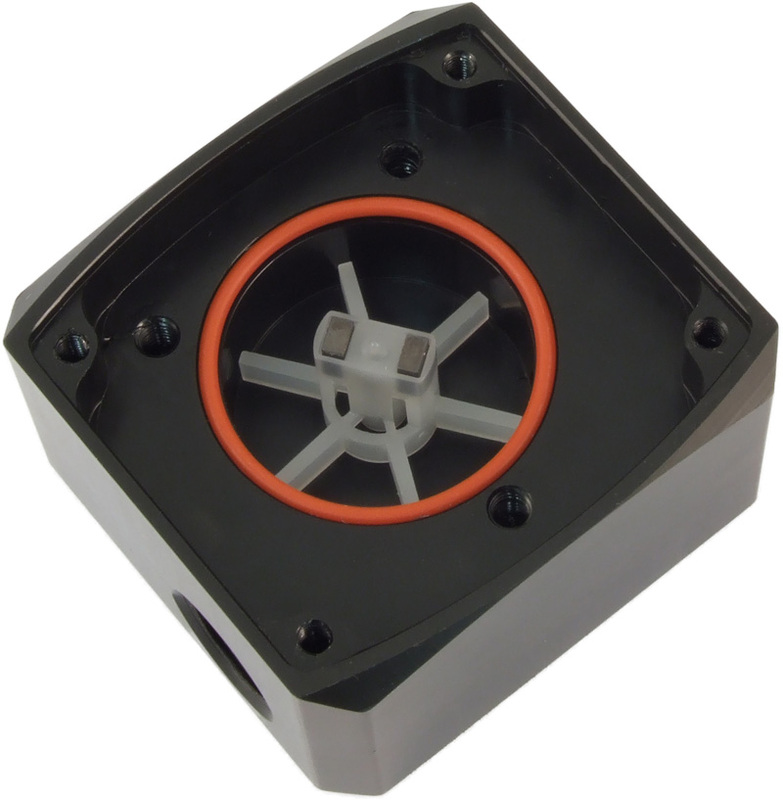 By passing through flow meter, water flow forces the turbine with an integrated ferromagnetic insert to rotate. 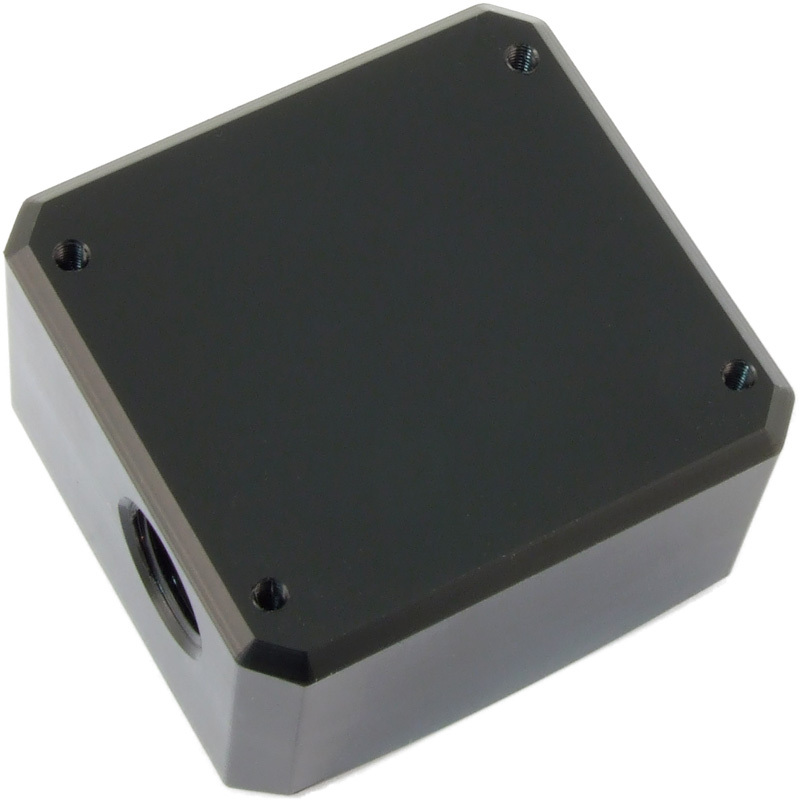 Then, Hall sensor tracks turbine rotations and generated electric impulses which are then passed to the controller. The controller has to set to an appropriate impulse per liter value which depends on particular flow meter model. This review includes three most widely used models of flow meters — Koolance INS-FM17, Flow meter GMR Brass G1/2 and Aqua Computer Flow sensor high flow G1/4. 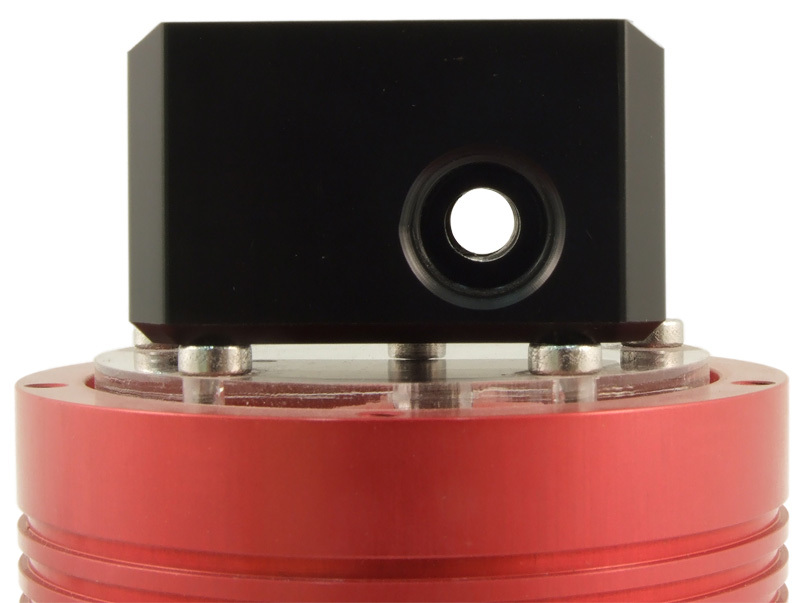 Quite a compact sensor, has one outstanding feature — there is no need to have a specialized controller to monitor flow level. The sensor is connected to the fan connector on motherboard. It is possible to monitoring flow meter readings by means of BIOS or software that can provide fan speed data. Sensor output is in milliliters per minute. Pay attention to flow direction when connecting the flow meter. It is marked on the acrylic case. 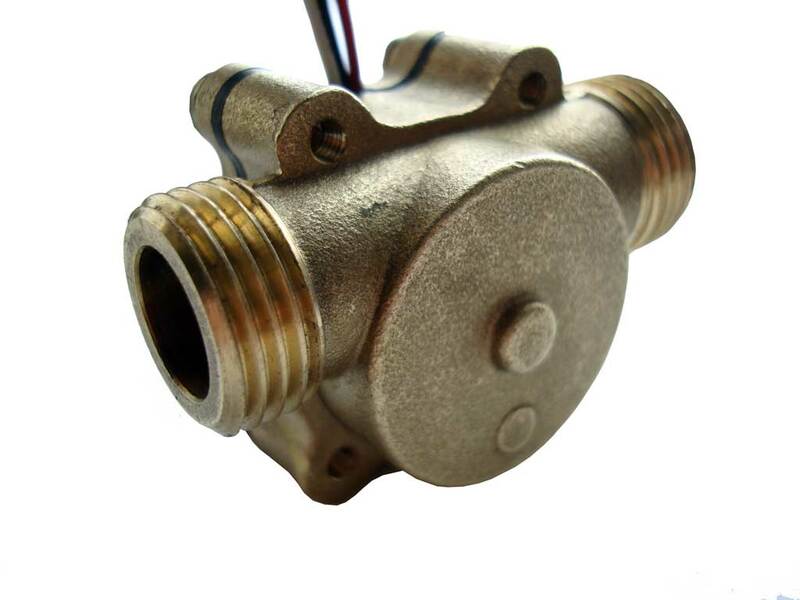 There is a special switch than has to be set in reference with the inner diameter of tubing that is used in WC system. There are two values — 6 mm and 10-13 mm (the inner diameter of the tubing). Fittings are not included. Fluid temperature range: < 90°C max. 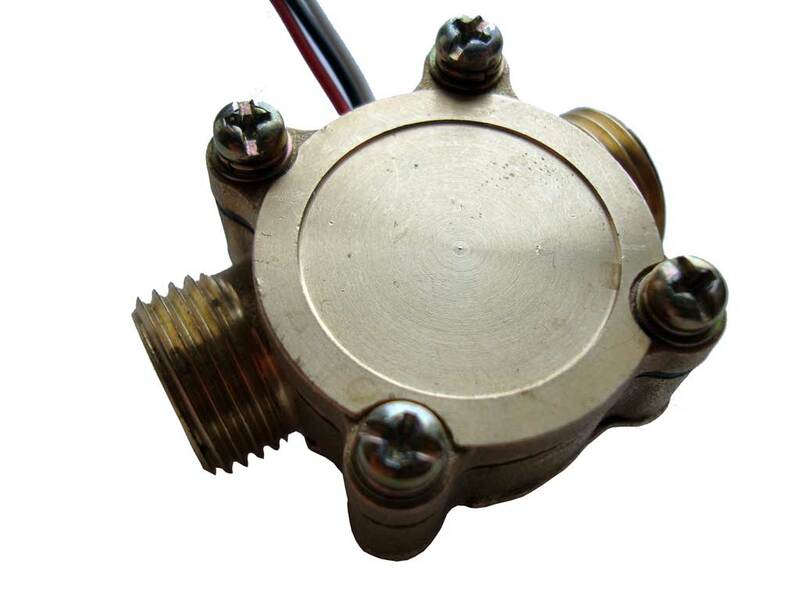 This device uses Digmessa Hall sensor, however, working chamber and the impeller are of own manufacturer design. My Koolance flow meter melted placed at the end of the loop after my 2 ATI 4870×2. It can’t handle heat!! What exactly do you mean by saying that your flow meter “melted”? Can you describe it in details? any Koolance product that has acrylic in it is JUNK; too thin, poor quality. I own a computer Water Flow sensor “High Flow G1 / 4, which I connected on a 5 Aquaero XT, but I see no value. I checked the contacts but it is entirely correct. Can you help? Sorry, but we don’t have an Aquaero 5 at our lab yet. 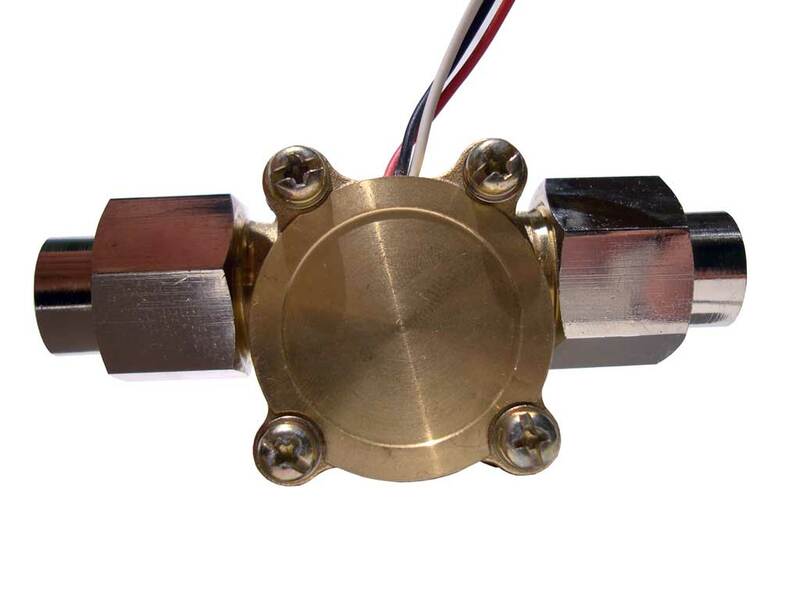 I just bought one of the Aquacomputer High Flow sensors, however there is a distinct clicking noise coming from the device, it’s almost completely silent when running at 1,8L/Min (30%PWM), the clicking starts being audible at around 2,4L/min and increases drastically with flows above this. Max flow I get while using my MCP35x pump i 6,7L/min. It is even so that the vibration traveling through the tubing to the radiators making a resonating humming sound when the radiator is installed in the case. I have bled the whole system properly, so I don’t think that air is the problem. I’m wondering if you had any problems with your test-sensor? 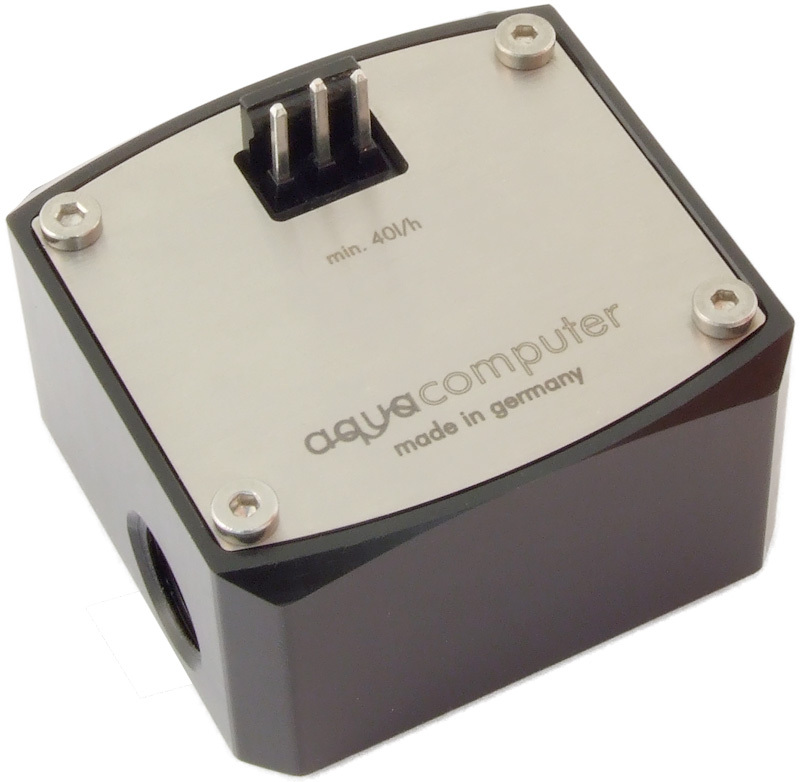 I have the Aqua Computer Flow sensor “high flow” G1/4 for aquaero (http://shop.aquacomputer.de/product_info.php?products_id=2294) in my computer watercooling system. For connection I use this (http://shop.aquacomputer.de/product_info.php?products_id=1622&XTCsid=r43p5ukg7a1mkchgoc75nhruli7he007) cable. If I connect the flow sensor to the main board I can read the rpm ie.speedfan. Is there something wrong with my aquasteam?